Smart money are the institutional investors, banks and financial professionals. The Smart Money has access to information about the Markets not afforded to us. The Smart Money is always on the other side of our trades. 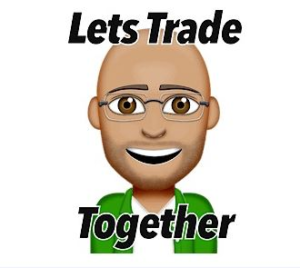 I’m going to repeat this…the Smart Money is always on the other side of our trades. This means when you and I buy, the Smart Money is selling to us and vice versa. How do I know this? 90% of retail traders lose 90% of their capital in 90 days. How do I know this? Because 90% of all retail traders fail. How do I know this? Goldman Sachs made $18.1 billion, or 53% of its revenue, from sales and trading in 2012, the company said today in its annual report. And it posted losses from trading on just 15 days last year, its best performance since the bank started disclosing that number in 2004. The distribution of Goldman’s daily trading profit is in the chart above. In 2016, J.P. Morgan didn’t have a single day of losses in the markets, and the markets business generated $80 million in revenues a day on average, up from $70 million in 2015. JPMorgan generated around $21 billion in fixed income and equity sales and trading revenues in 2016. From 2016 into 2017, Morgan Stanley made more than $10 billion from equity trading. Morgan Stanley dominates the equity trading business, with the investment banking giant holding the top rank globally in 12 of the last 15 quarters. Do you remember the big drop we saw in February of this year? Well, Goldman Sachs made $200 million in profit on one particular day in February. The investment bank had positioned itself to benefit if the Cboe Volatility Index, the product sometimes called the “fear index” because it reflects expectations of future volatility, climbed, said the people, who declined to be identified speaking about internal matters. After months of tranquil markets, on Feb. 5 the VIX surged 116 percent, the biggest one-day move on record, as the S&P 500 plunged 4.1 percent and the Dow Jones industrial average dropped more than 1,100 points. The Smart Money is seen as having a much better chance of being correct when placing trades. This is why I’m in constant search of the footprints of Smart Money on the charts.